Below is a comprehensive list of hotels in Lamb House. Use the sort links to refine your search or to find featured accommodation in Lamb House. Many of our hotels in Lamb House feature no booking fees and best price guarantee when booked through the Pictures of England website. To list your hotel in Lamb House, click here. Featuring free WiFi throughout the property, Jeakes House offers pet-friendly accommodation in Rye, 44 km from Canterbury. 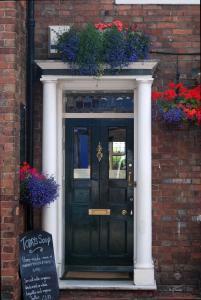 Guests can enjoy the on-sit..
Offering a wine and tapas lounge, White Vine House is located in the town of Rye. 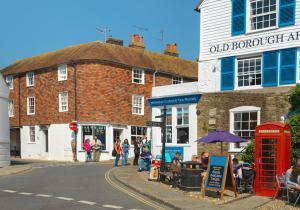 This 16th Century, Grade II listed building offers free parking and ..
Offering a terrace, patio and outdoor dining area, Wellingtons features self-catering accommodation located in Rye, less than 4 miles from Rye Harbour.. Situated in Rye, this holiday home is 44 km from Canterbury. 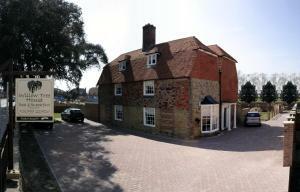 The property boasts views of the garden and is 37 km from Eastbourne. There is a dining .. 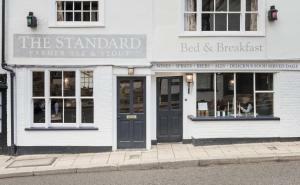 The Standard Inn is located in Rye. It features a bar and restaurant, and has traditional features such as a working fireplace and wooden beams. Free .. The Tilling Suite offers pet-friendly accommodation in Rye. Guests benefit from terrace and a terrace. Free WiFi is available . A flat-screen TV and .. 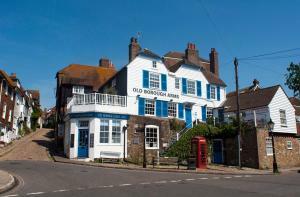 Featuring free WiFi, Old Borough Arms offers pet-friendly accommodation in Rye, 44 km from Canterbury. Guests can enjoy the on-site bar. Rooms includ..
Crown Cottage is a semi-detached holiday home set in Rye in the East Sussex Region and is 44 km from Canterbury. The unit is 37 km from Eastbourne. Fr.. 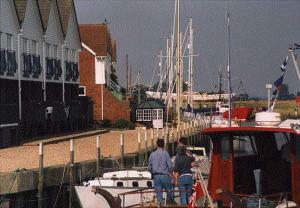 Situated in Rye in the East Sussex Region, 44 km from Canterbury, Hayden's B&B boasts a terrace and views of the river. Guests can enjoy the on-site r.. 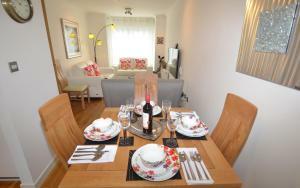 Situated in Rye in the East Sussex Region, this holiday home is 44 km from Canterbury. The unit is 37 km from Eastbourne. The kitchen is fitted with .. Located in Rye, this holiday home is situated 44 km from Canterbury. 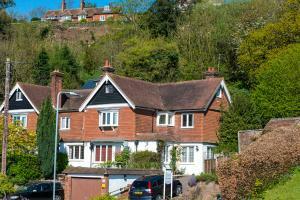 The property features views of the garden and is 37 km from Eastbourne. An oven,..
Kittiwakes is a holiday home set in Rye, 44 km from Canterbury. The property is 37 km from Eastbourne and free private parking is available. There is..
Little Willow offers accommodation in Rye. The unit is 44 km from Canterbury. Free WiFi is offered throughout the property. The unit fitted with a ki.. Situated in Rye in the East Sussex Region, this holiday home is 44 km from Canterbury. The property is 36 km from Eastbourne and features views of the.. Featuring a barbecue, The Blue Loft is a holiday home set in Playden in the East Sussex Region. The property is 43 km from Canterbury and boasts views..
Offering characterful accommodation centred around 2 East Sussex oast houses, Playden Oasts Hotel is just 1 mile from the centre of Rye. There are 2 r..
Old Dairy Barn is a holiday home situated in Playden in the East Sussex Region and is 42 km from Canterbury. The unit is 38 km from Eastbourne. There..